Chapter 1: What is ADHD? And Why Does it Suddenly Seem to be Everywhere? Chapter 2: How Widespread Is It? Chapter 3: What Causes It? Chapter 4: How Do You Know If You Have It? Chapter 5: How Does ADHD Change Over the Lifespan? Chapter 6: How Much Does It Matter Who You Are and Where You Live? Chapter 7: How Helpful-or Harmful-Is Medication? Chapter 8: How Helpful is Behavior Therapy, and What Kinds of Behavior Therapies Help the Most? Chapter 9: What Other Strategies May Be Helpful in Treating ADHD? Chapter 10: What Do You Need to Know About the ADHD Industrial Complex? Stephen Hinshaw, PhD, is an internationally recognized research investigator of child and adolescent disorders, award-winning teacher, and author of more than 280 research articles and chapters plus 12 books. 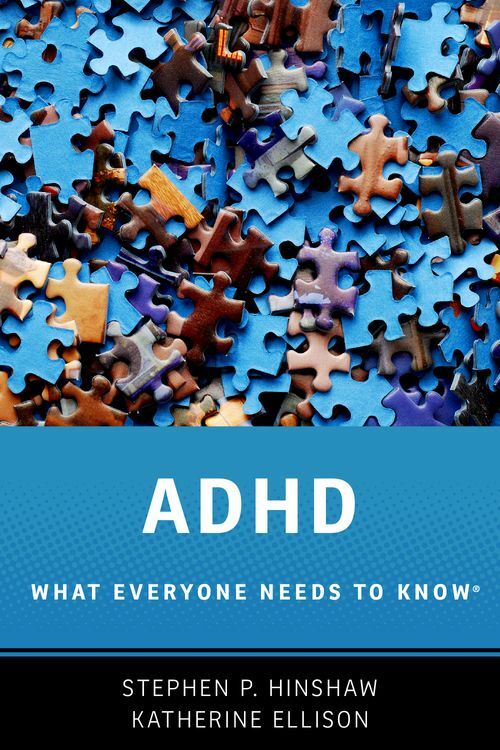 His most recent book, with Richard Scheffler, is The ADHD Explosion: Myths, Medication, Money, and Today's Push for Performance. He is a professor of psychology at UC Berkeley and vice chair for psychology in the department of psychiatry at UC San Francisco. ; Katherine Ellison is a Pulitzer-prize winning reporter and author of several books. She specializes in writing about neuroscience, learning disorders, and education. Her books include The Mommy Brain: How Motherhood Makes You Smarter and Buzz: A Year of Paying Attention.